I read for the same reason that I listen or look, or quiet myself against the plate glass that separates me from the world. Outside this morning as I write this essay, the sun rests like a sleeping leopard against an aberrant late winter blanket of snow; the Real Feel registers minus two. But then the sun is something else. It’s already turned, already insistent. The heat is coming. The forecast confirms it: in three days the snow will have vanished, leaving a film of gravel and salt on the skin of the city. Leaving plastic straws and poop bags and pages of magazines blackened with soot. Leaving cracks in the sidewalks that weren’t there in fall and potholes that were, but have only widened, like craters giving way to the fuselage below. The earth will always remember and record. That’s how we know we matter. 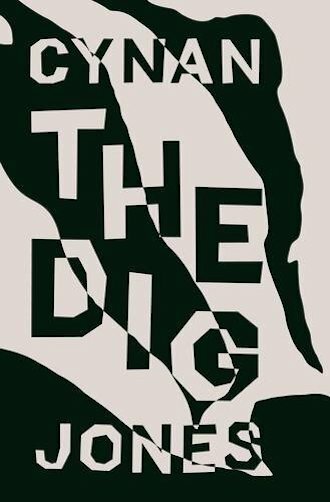 Daniel, the endearingly sad farmer at the heart of Welsh writer Cynan Jones’s rupturing novel The Dig, knows this is true; his own tracks between the porch of his house, where he grew up on the sheep farm, and the bootshed, confirm it. The sound and smell and handwriting and shoes of his wife, gone now three weeks, can’t be erased. The opposite, in fact: she haunts poor Daniel, forced to confront her sentient death everywhere on the farm: in a dried cob of feed corn, in the dismembered second head of a “monstrous” lamb, in the earth itself, scarred where workers had removed a giant shard of metal that as a boy he had assigned mythic power. The big man, an obsessive badger trapper, is the novel’s sadistic monster. Slowly, as the novel progresses, he steers his van, filled with terriers and traps and guns, toward Daniel’s farm. “When he got from the van it lifted and relaxed like a child relieved of the momentary fear of being hit,” Jones writes. I reached for my cheek in self-defense when I read the line. This is the reader’s first glimpse of the big man. Very soon, he’s grinding his boot into the remains of a badger. The big man, though unnamed, is an outcast; the police are after him. Badger protectors are on to him. A Big Loser, the big man clings to his guns and his dogs. He is the scar tissue of this impoverished land. In alternating passages, Jones moves between the big man hunting beavers and Daniel birthing lambs as their inevitable collision nears. Daniel has lost the taste for food (“as if hunger was a memory rather than a call”); he is starving himself. The big man only grows thirstier for the blood of badger. Often, a reader is drawn to one or the other alternating characters and looks forward to his passages. In The Dig, it’s easy to become attached to Daniel. He is kind and selfless and totally bereaved. His despair loosens in the soil, breaks apart in the barn. But Jones demands you don’t ignore the big man. He knows more about badger habits than anyone, perhaps, in all of Wales. The land, with all its thickening sounds and hidden signals, speaks to him. It warns him, too. He listens and hungers on. Hunger’s kin is brutality. The big man feeds on it when he takes part in a badger kill that has the feel of the WWF combined with a public stoning. At climax, itself a rite buried within the masterfully stacks tunnels of the book’s whole, Daniel must seize the brutality from deep inside his farmer’s DNA just to do his job. The air of the world of this life is thick and without face; what answers come in confrontation provide little solace; instead, more questions. Lambing doesn’t always produce little dolls. Freaks and monsters don’t come from imagination. Nature grows them without a second thought. As Jones tells us in this extraordinary novel, they can’t exactly be obliterated.